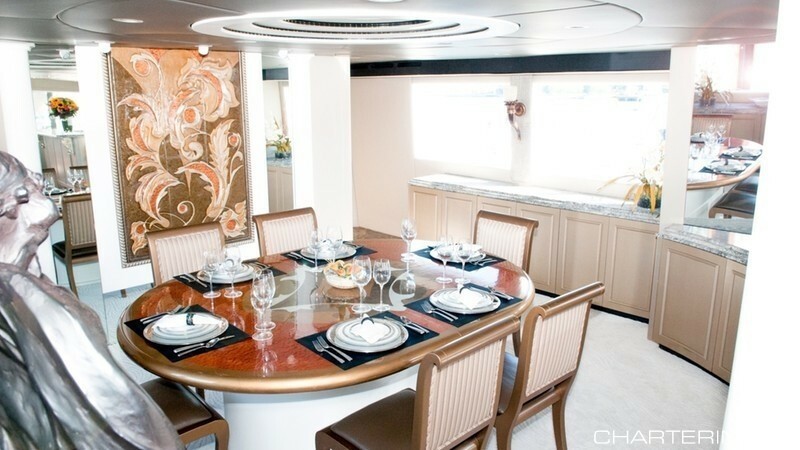 Luxury Motor yacht Sovereign was built by Broward Marine in 1993. 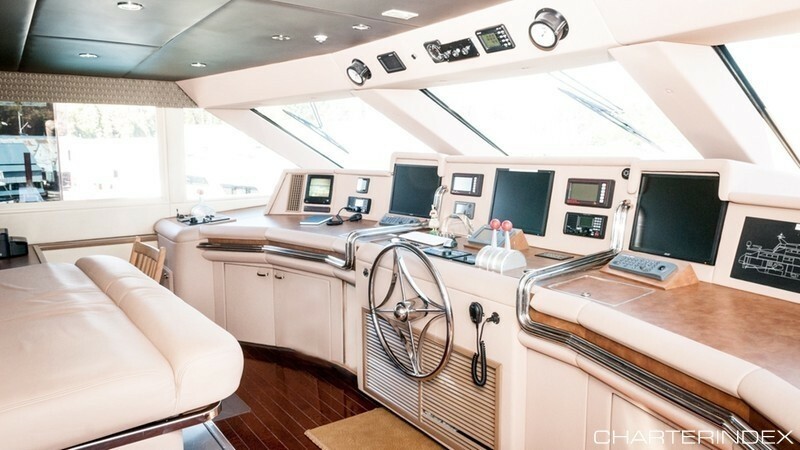 The yacht is annually maintained and cared for and she also underwent a full refit in 2005. 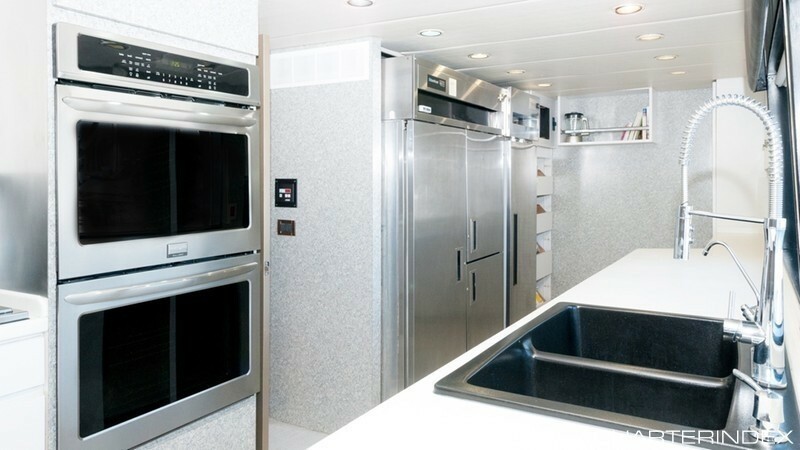 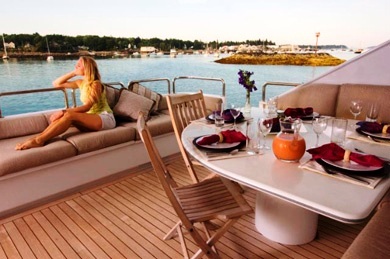 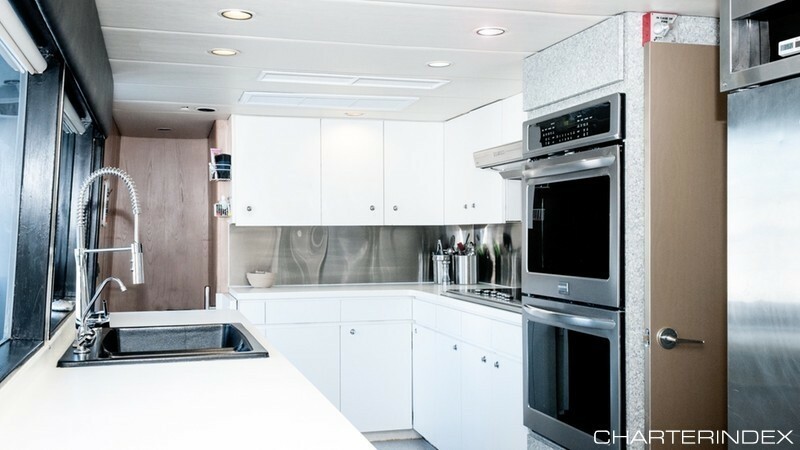 This luxury charter yachts spends the winter months in New England, Connecticut area. 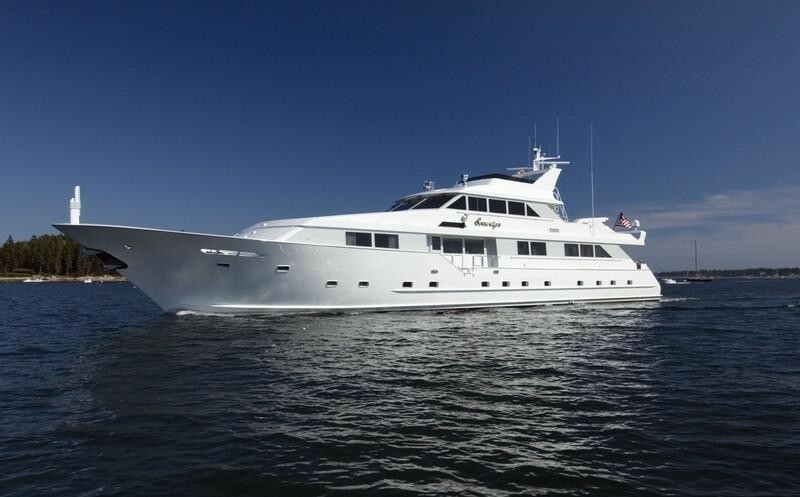 She is also available in the Bahamas between seasons before spending the winter months in the Caribbean. 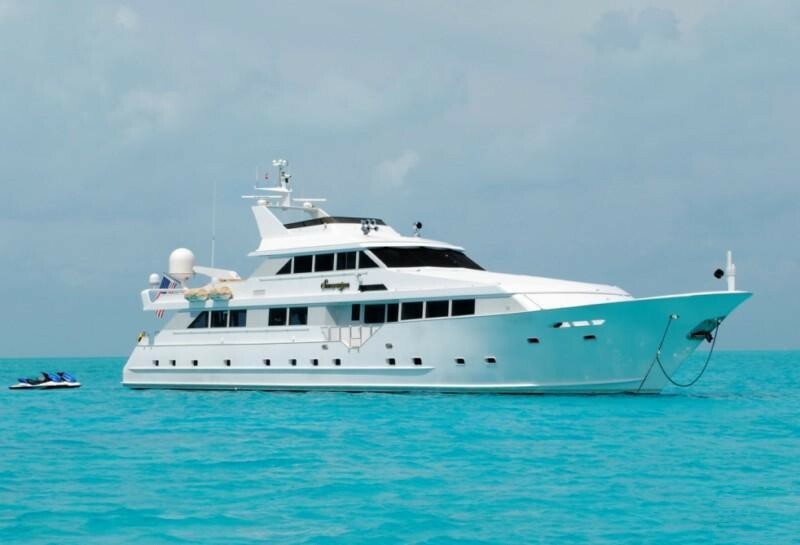 She is based in the Leeward Islands but is also available elsewhere on request. 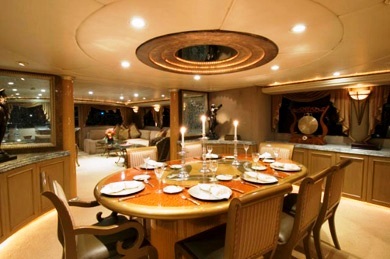 Sovereign is a luxury motor yacht 120ft (36m) in length and can accommodate 12 guests in her well-designed layout. 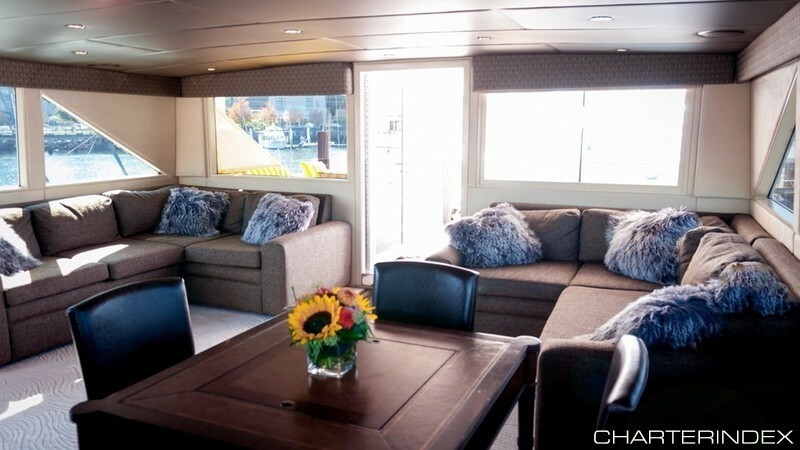 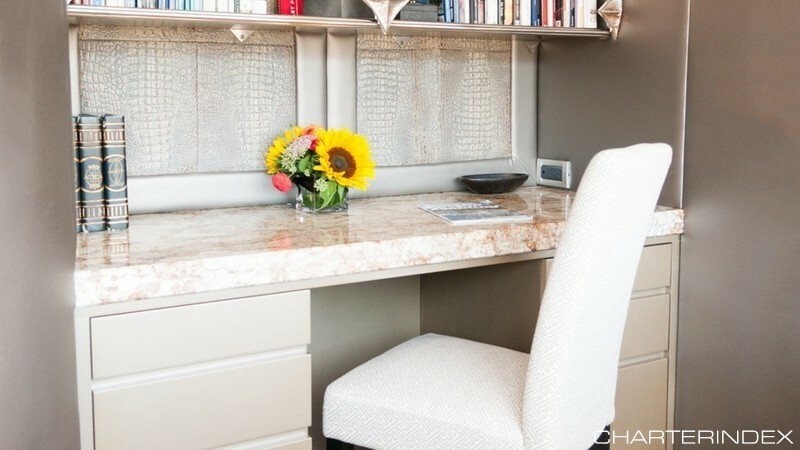 Her plush furnishings compliment the attractive interior decor. 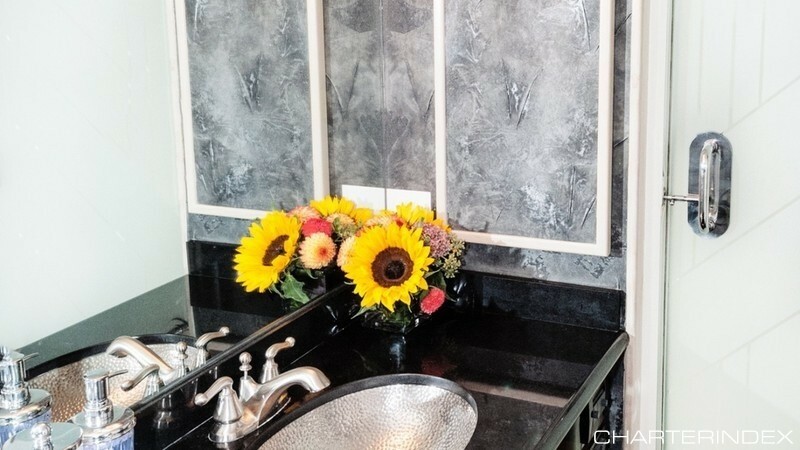 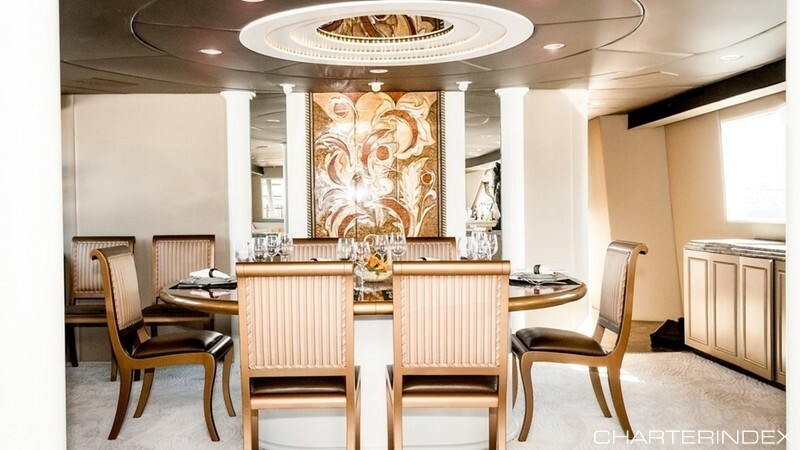 Beautiful artwork creates a marvelous backdrop in both the salon's comfortable socializing area and in the formal dining area forward which can comfortably seat 12. 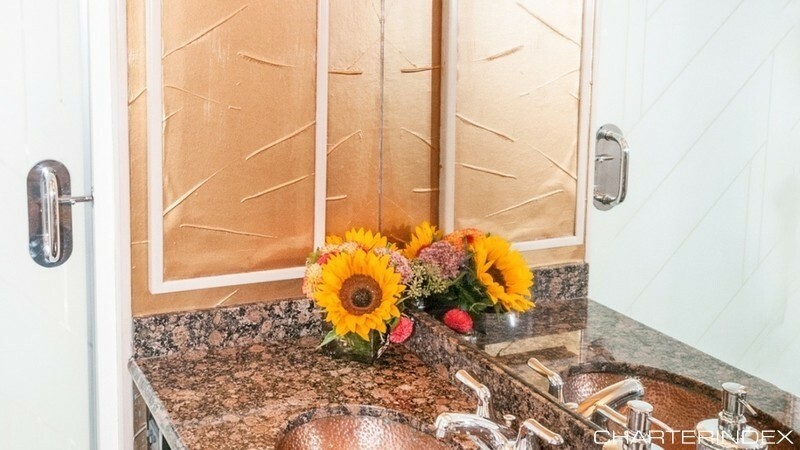 The exquisite cuisine prepared by her internationally-trained chef will be sure to please. 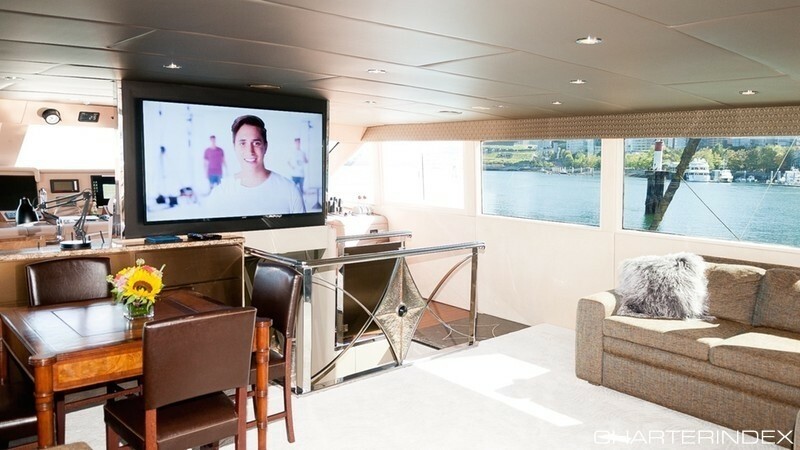 A skylounge complete with a full entertainment system with TV/CD/DVD, is found on the upper deck. 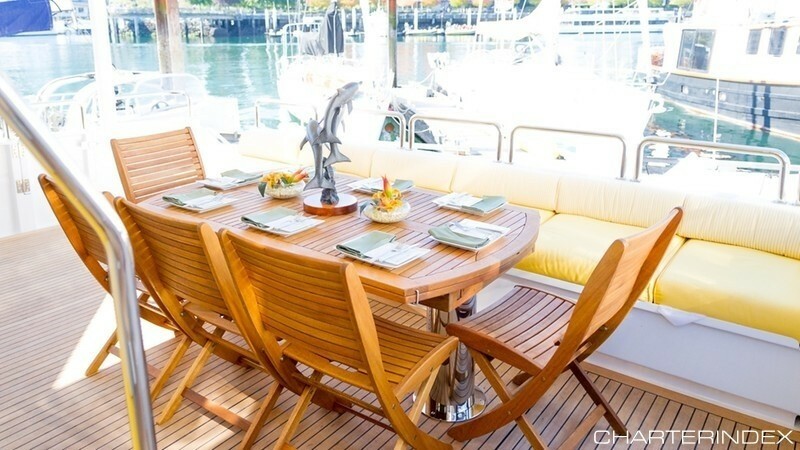 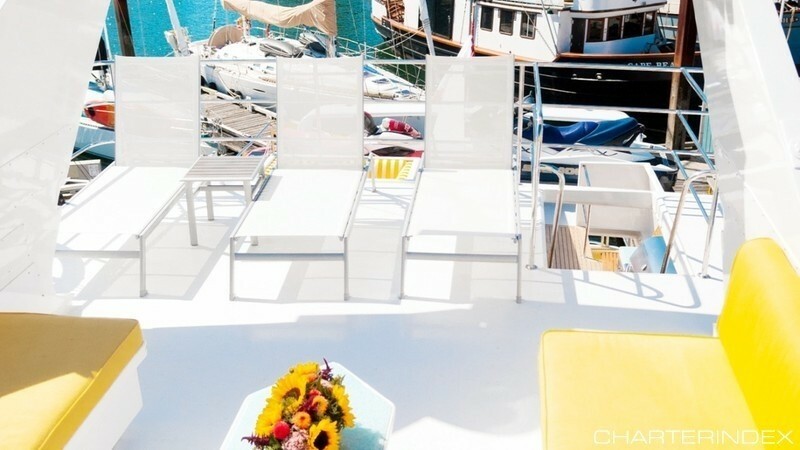 On the aft deck which leads down to her swimming platform, an ‘el fresco’ dinning table can seat 9 guests. 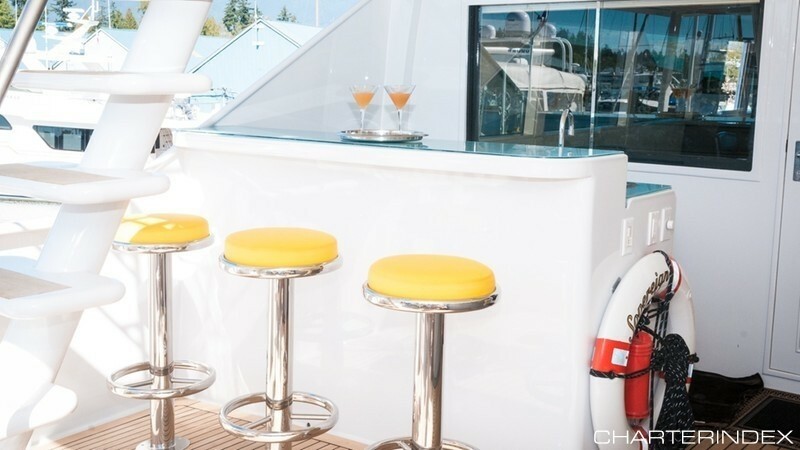 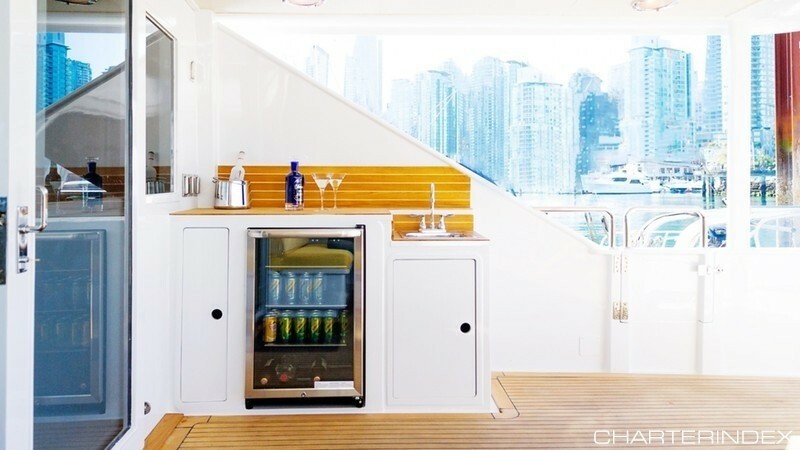 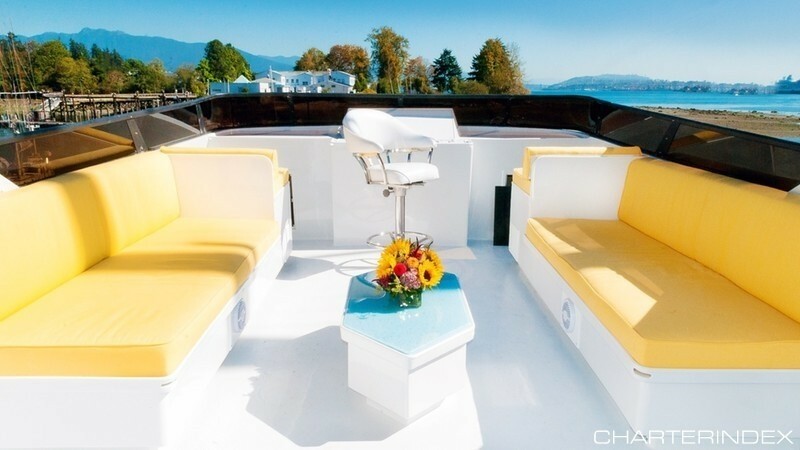 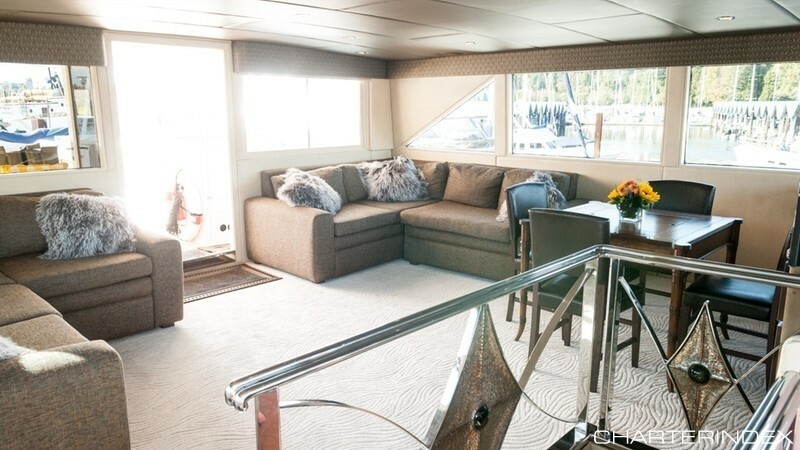 Sovereign’s Sun Deck has an L-shaped seating and helm station and her Flybridge boasts a semi covered sunbed, full wet bar and al fresco dining for approximately 9. 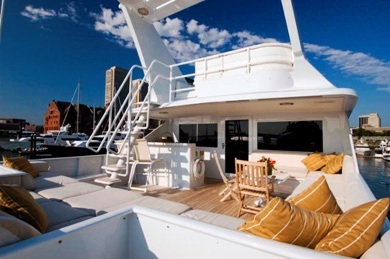 Motor yacht Sovereign has a ‘Phenomenal Crew’ with a great history of repeat clients. 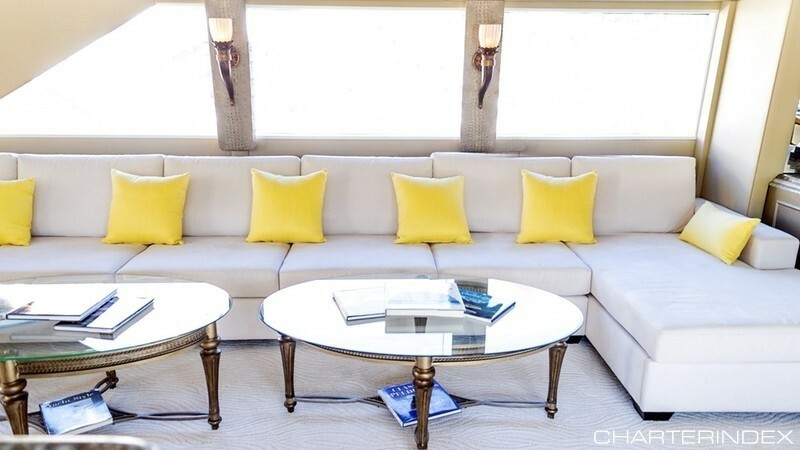 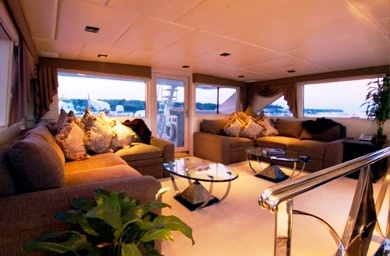 Luxury motor yacht Sovereign can accommodate up to 12 guests in pure luxury. 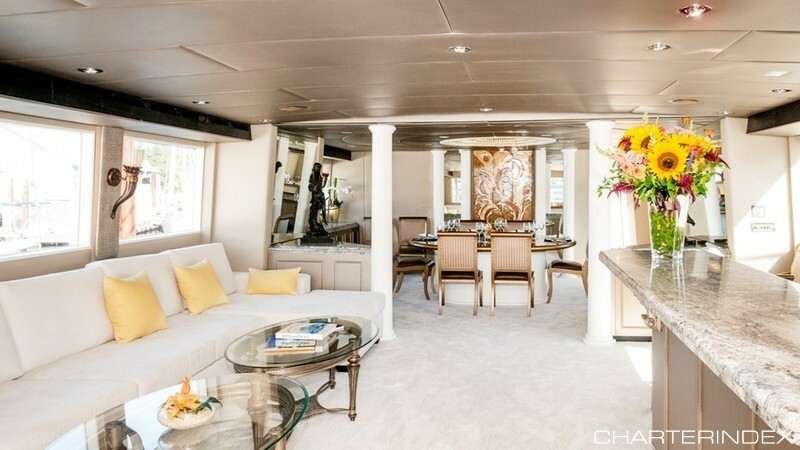 Her Master Stateroom is located on the Main deck, forward. 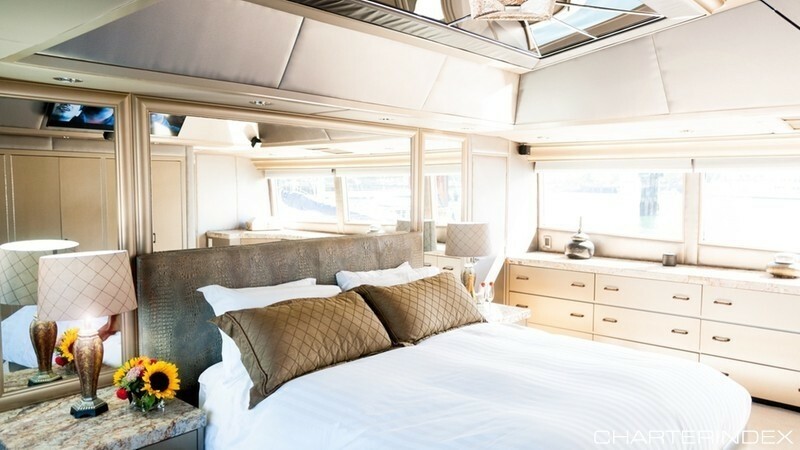 The suite has a King Size bed, state-of-the-art entertainment system with 42” flat screen TV w/CD/DVD. 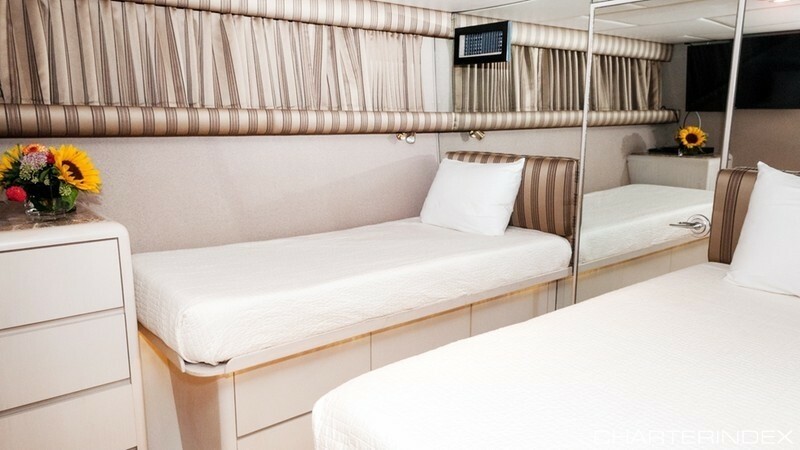 The stateroom has Abundant storage. 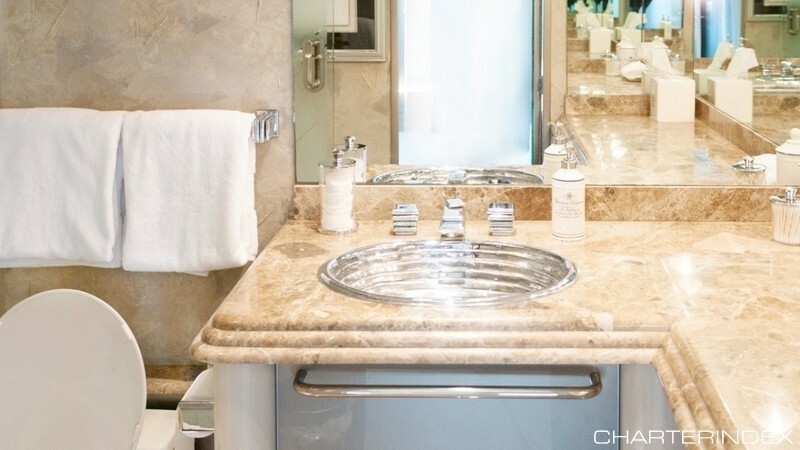 The En-suite features his-and-hers bath with Spa Pool tub, and separate shower. 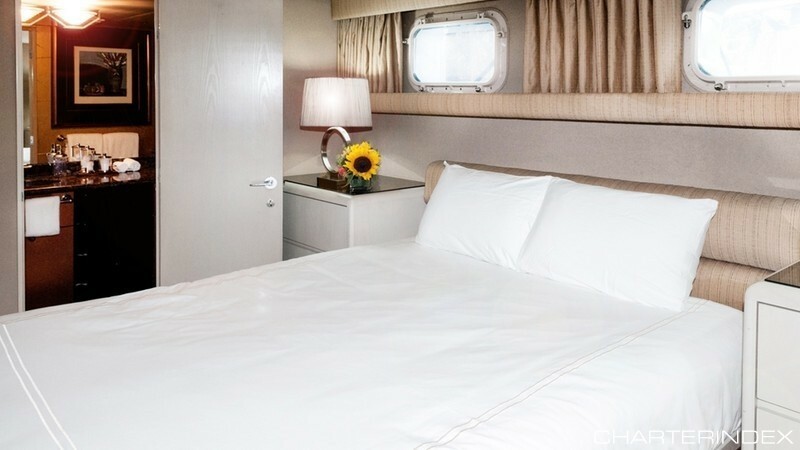 The remaining 5 staterooms are found below deck and includes 2 x Queen Staterooms with 42” flat screen TV’s CD/DVD, and en-suite with stall showers in each. 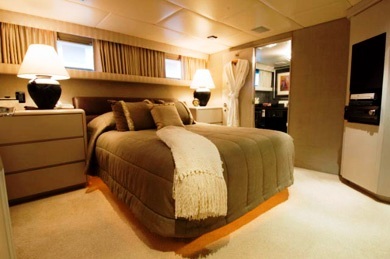 A Stateroom with two twin-size beds, TV/CD/DVD, and en-suite stall shower are located forward. 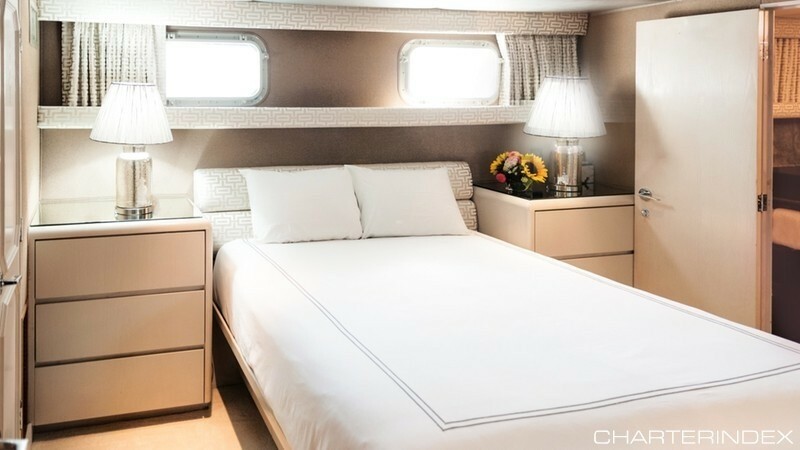 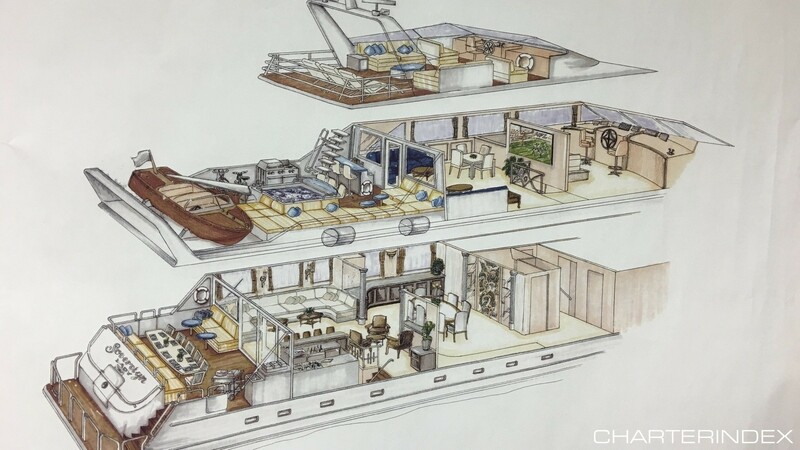 To the Aft of the yacht is one Queen Stateroom with 42” TV/CD/DVD, and en-suite stall shower and one Twin Stateroom with 32” TV/CD/DVD, and en-suite stall shower. 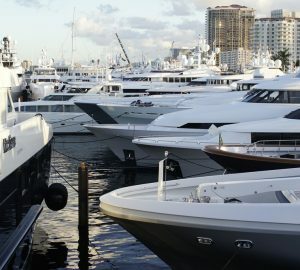 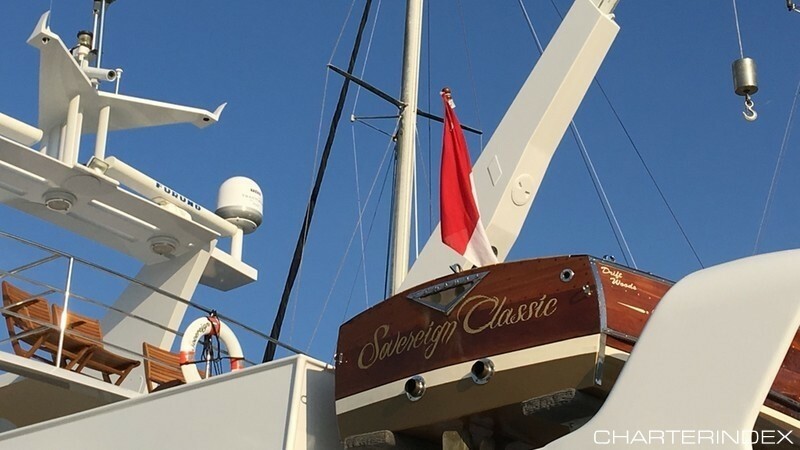 Caribbean, New England and the Bahamas based charter yacht Sovereign has the following amenities: Tenders & Toys. 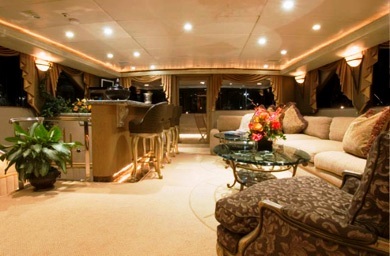 18' Nautica with 90hp Yamaha, 2 Waverunners 1200cc 3-Seater, Dive compressor and equipment for 6. 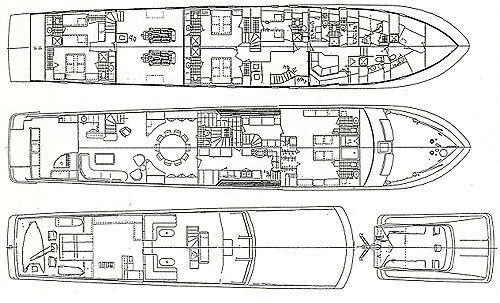 Rendezvous Diving only. 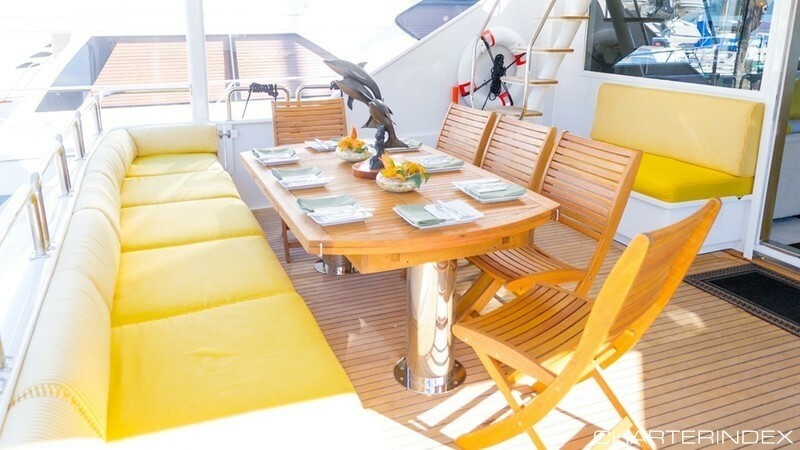 No Dive Master onboard. 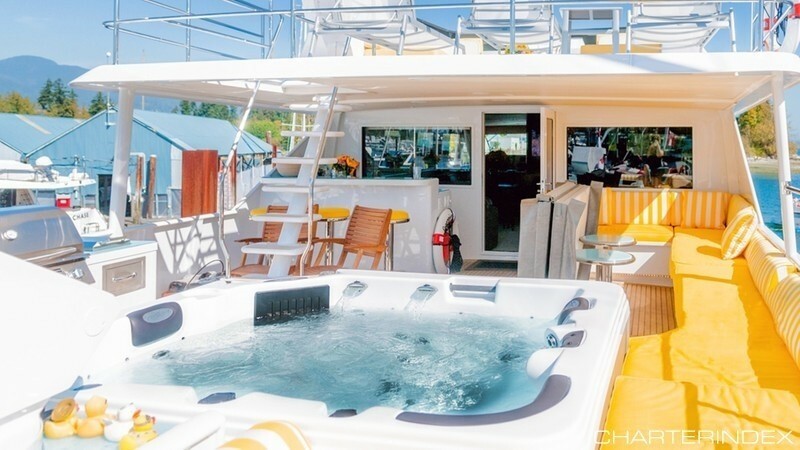 Snorkeling equipment for 15, 1 x 1-seater Kayak, Gas BBQ in Galley, Beach BBQ, Beach Toys, Towable Toys: Wakeboard, Kneeboard, Waterski’s (for adults and children), X-BOX, charter guests to bring their own games, Frozen Beverage Machine for Mudslides. 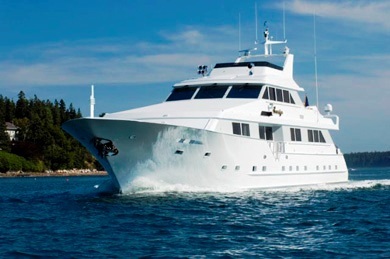 Her Communications include SatCom, Cell Phone, Printer, Fax, Computer (no wi-fi facilities onboard), Individual Satellite TV Receivers (both Galaxsea and US for international use), Surround Sound, Flatscreen TV’s CD/DVD/VCR throughout A/V Library.